Join us as we PACKHOPE for people around the world by providing a sustainable food supply through packed meals and seeds! Enough food exists to feed the world’s 7 billion people, but every night one of nine people go to bed hungry. Join the food packing event on April 28th at Calvary Harvest Fields in Boalsburg and help pack 150,000 meals and 22,500 seed envelopes for Middle Eastern refugees. The meals we pack will be sent to Middle Eastern Refugees who have no access to food and housing. These meals will provide a nutritious amount of essential vitamins and minerals for the malnourished. The seed packs will be used by the refugees to plant community gardens in order to increase food security. Training is provided at the start of each food pack session. Choose one, two, or three sessions to volunteer at. This event is sponsored by Calvary Church, but it is not a religious event. Join hundreds of others as we PACKHOPE in the form of rice and lentils for refugees in the Middle East. Your gift of 2 1/2 hours on a Sunday in April shows them that you care. A single dollar provides three meals for a refugee. Your gift of $50 provides a refugee family of five meals for an entire month. All around the globe, hunger and malnutrition claim lives while crippling the advancement of individual communities. The United Nations reports that childhood hunger is responsible for the deaths of 6.5 million children under the age of five each year. With over 68 million refugees and displaced people in the world today, half of those are children under 18 plagued by malnutrition. 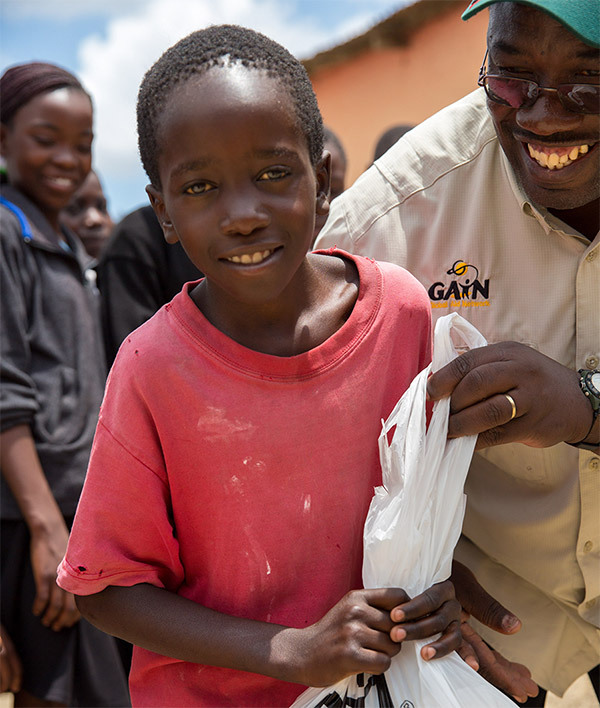 Meals and seeds packed on April 28 will be delivered to Middle Eastern refugees through the partnership with GAiN (Global Aid Network). Do I have to attend a training? No. Training occurs when the sessions starts. How do I make sure I am at a station with my friend/group? If your group has not already specified that they want to be with a certain group when they signed up, make sure everyone is present when checking in. If you want to make sure you are at the same station as a friend, check in together. What Should I expect during my 2.5 hour session? Is lunch provided if I stay for more than one session? No. If you would like anything to eat, you will have to pack a lunch. Provide 300 meals of nutritious rice and lentils. This will feed 10 refugees for an entire month. Provide 1,500 meals, which will feed 50 refugees one meal a day for an entire month. Provide 3,000 meals, which will allow twenty refugee families of five to eat a meal each day for an entire month.